"Optimized" in this sense refers to the software-improved audio quality: automatic volume leveling will boost lower audio in quiet scenes and lower audio in loud scenes (and in booming commercials), and dialogue enhancement will improve speech intelligibility. Accompanying the Wireless Speakers is the Roku Touch remote, a unique addition to Roku's remote family. The company has a standard remote that controls its set-top boxes and smart TVs, and it also has a voice remote that processes voice commands to search for and play specific types of content. The Touch remote is most like the voice remote, but it can be used almost anywhere in your home because it's wireless and runs on batteries. It has a number of buttons on its top that can play, pause, and skip content playing from your Roku TV, and some of those buttons are customizable so you can program your favorite presets to them. There's also a press-and-hold talk button that lets you speak commands to your TV, even if you're not in front of it. Roku's Wireless Speakers and Touch remote will begin shipping this October, and the company is running a deal leading up to the release. 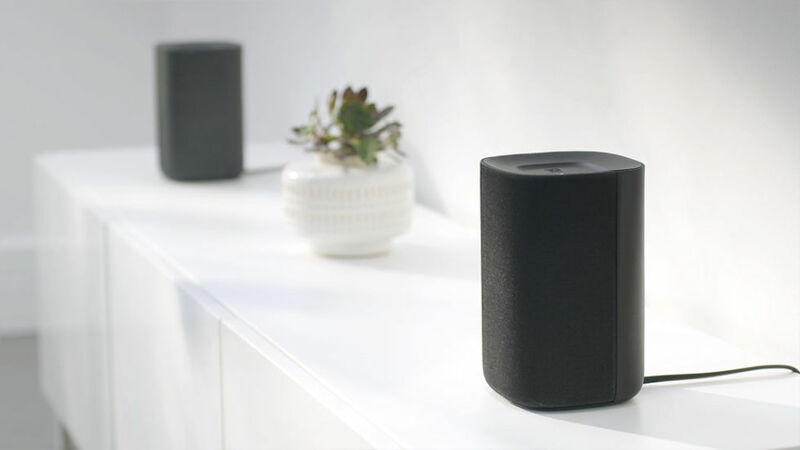 For the first week of presales (July 16 through July 23), a bundle consisting of two Wireless Speakers, a Touch remote, and a Roku voice remote will be available for $149. From the end of that week until October, the price will be $179. When the new devices finally come out, the bundle price will be $199.